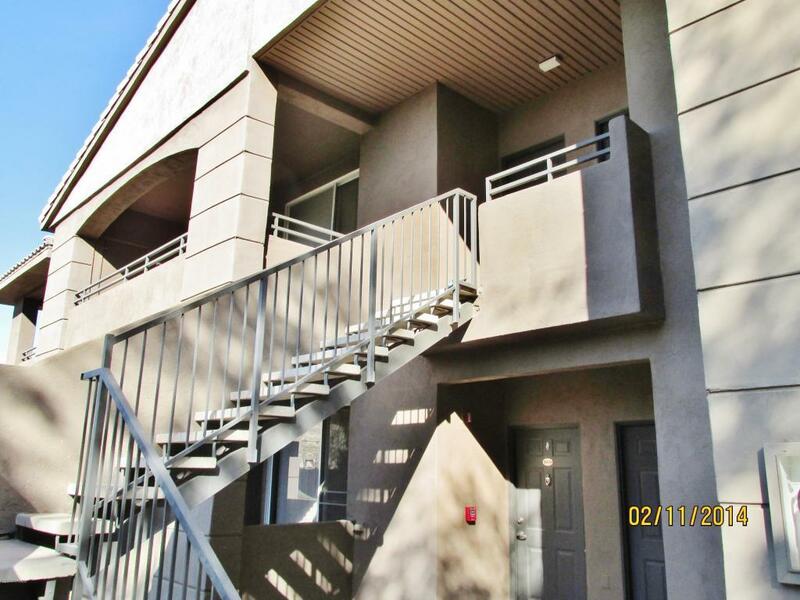 Highly upgraded 1/b/1b unit- UPSTAIRS. Wood floors, stainless appliances, granite counters, fireplace. 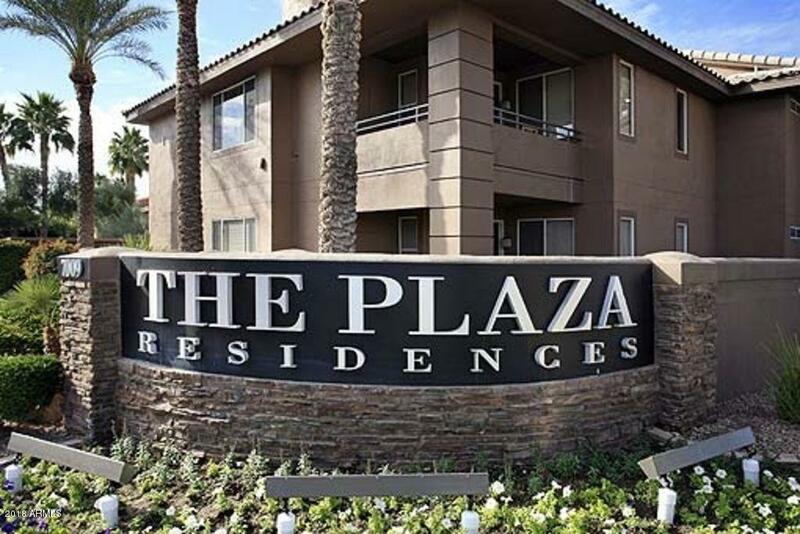 Plaza Residences is a fantastic community in a popular area of Scottsdale. 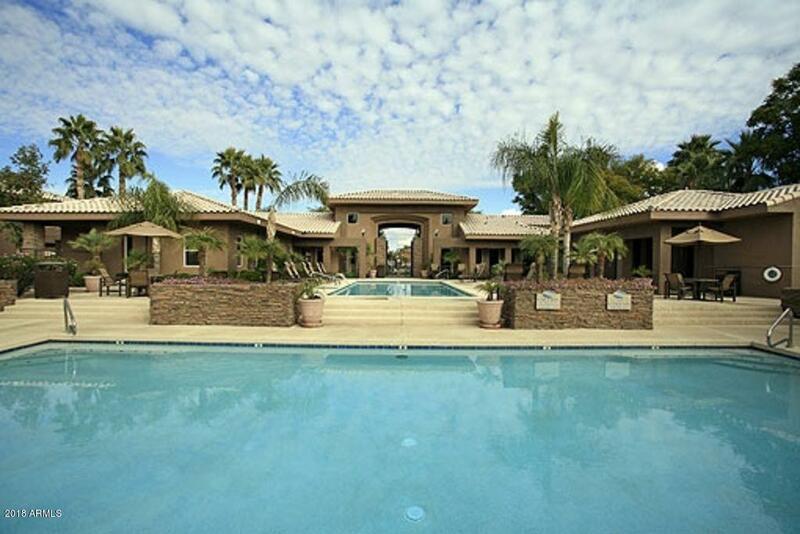 Gated community has 2 pools, and a clubhouse with fitness center, business center, and movie room. 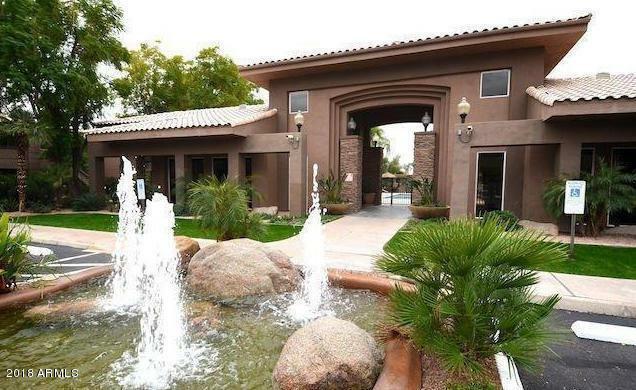 Close to Scottsdale Airpark, golf, lots of shopping and restaurants. Furnishings are available for purchase on separate bill of sale.